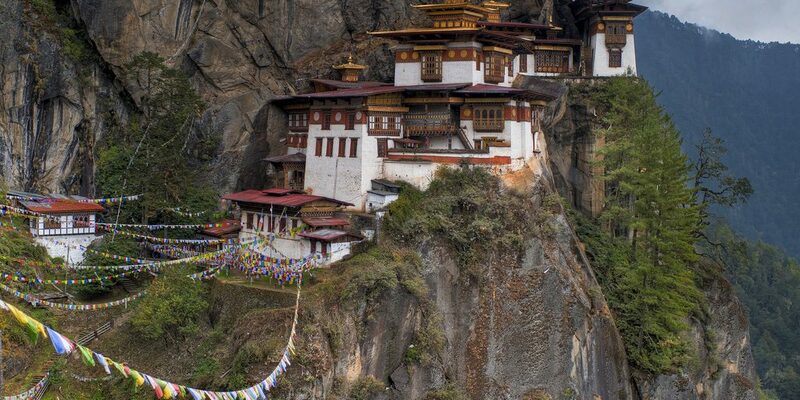 Officially the Kingdom of Bhutan is a landlocked country in South Asia at the eastern end of the Himalayas. It is bordered to the north by China and to the south, east and west by India. To the west, it is separated from Nepal by the Indian state of Sikkim, while farther south it is separated from Bangladesh by the Indian states of Assam and West Bengal. Bhutan's capital and largest city is Thimphu. 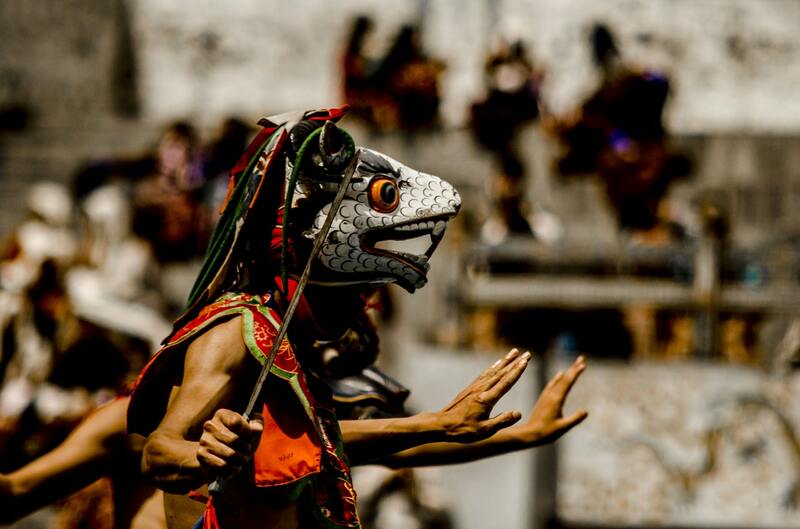 Bhutan existed as a patchwork of minor warring fiefs until the early 17th century. At that time the lama and military leader Ngawang Namgyal, the first Zhabdrung Rinpoche, who was fleeing religious persecution in Tibet, unified the area and cultivated a distinct Bhutanese identity. In the early 20th century, Bhutan came into contact with the British Empire and retained strong bilateral relations with India upon its independence. In 2006, based on a global survey, Business week rated Bhutan the happiest country in Asia and the eighth-happiest in the world. Bhutan's landscape ranges from subtropical plains in the south to the sub-alpine Himalayan heights in the north, where some peaks exceed 7,000 metres. In 2008, Bhutan made the transition from absolute monarchy to constitutional monarchy and held its first general election. As well as being a member of the United Nations, Bhutan is a member of the South Asian Association for Regional Cooperation SAARC and hosted SAARC's sixteenth summit in April 2010. 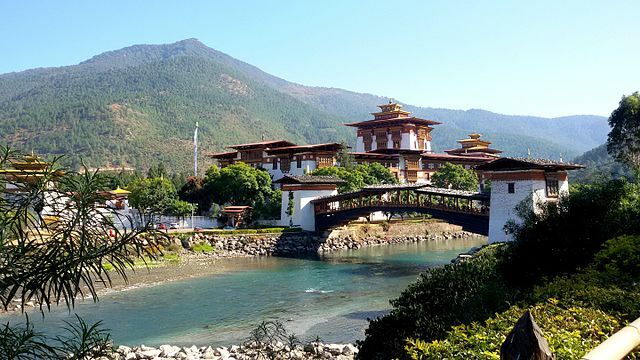 When to visit Bhutan, Best Season March, April, September October and November. Spring and autumn here being the best time to get here. Please book your air tickets, hotel stay and other accommodation well in advance. Snow clad mountains and the scenic beauty with enthral you. Second Best option May, December and February one benefit for you travelling around this time is that there are fewer tourists. But beware the winter maybe extremely cold. However for those who wish to trek in this beautiful mountain country - avoid June, July and August. Do not litter while trekking, avoid tap water. Do not bargain at local handicraft shops. Carry your own medicines if required. Waterproof holder for your passport. Tiger Nest Monastery - This is hike that you should do if you are in Bhutan. Leave early in the morning and spend an hour here. Well before everyone else catches up. Experience the inner peace here. 2. 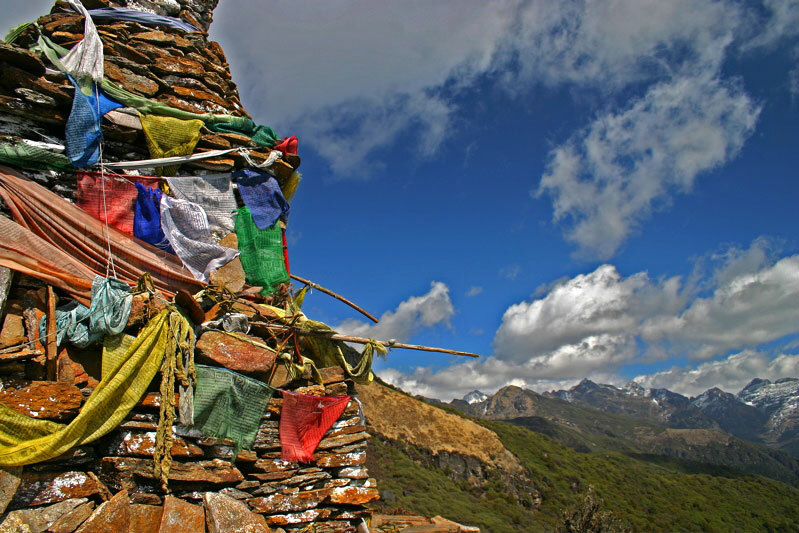 Druk Path Trek - This trail is one of the most popular routes for activity. The best is if your happen to be here in March and April you shall witness an experience of walking thru a garden of rhododendrons and azaleas. Even thou it’s a popular trail, if preserved and garbage free. This trail is between the town of Thimphu and Paro. 3. Kitchen Khana and Kamal - Bhutanese Love chillies and it’s a main spice in most of the dishes prepared here. The local cuisine is simply exotic. Rich in flavour with variety. It is said once in Bhutan try the fiery chillies to the awesome cheese - the experience will never leave you. Not to mention the local Bhutanese tea at a tapri. It’s called sud-ja. Made from yak milk - bitter to taste thou. 4. Drive to Bumthang - Drive from Thimphu to Bumthang is an absolute delight. This drive is thru the most beautiful terrain. Bumthang region encompasses four spectacular valleys: Chokhar, Tang, Ura and Chhume - commonly referred as the Bumthang valley. 5. Fly in to Bhutan will be thru the heart of snow clad Himalayan mountain ranges at 35000ft, glaciers and scenic beauty will welcome you. This view will happen before start you descend to the beautiful country via Paro Valley. The best is this flight shall take you past Mount Everest and Mount Kanchenjunga. An absolute delight. A white carpet too welcomes you. Not to mention the photo ops. Make sure to book a window seat.